Leadership has many dimensions and stories to tell. Myths, fairy tales, storylines, daily stories, and anecdotes have tied together to provide a solid foundation for leadership myths to grow up and flourish. 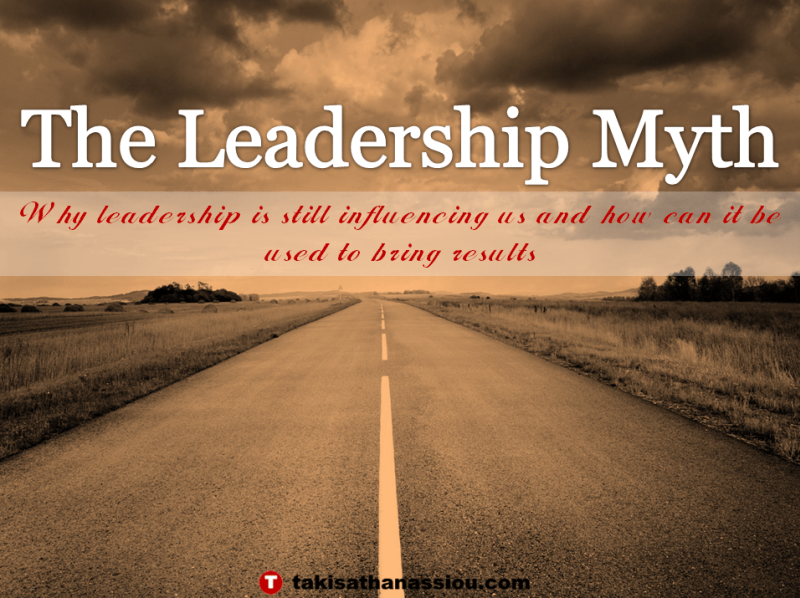 It is exactly of those myths though that leadership can provide us with the live examples needed in our lives to help us improve and assume the responsibility for our life and society. Today, more than ever, leadership is an important component of progress at personal, social as in business level. Leadership as a concept, idea, and practice can remedy many of the negative things piled up in our society and economies by bad decisions, unhandled situations, wrong levels of competitiveness, problematic economic and financial models, and “problematic” ways of social change. At a personal level, the discipline of leadership can provide a solid foundation for the development of accountable persons, which would get involved actively and passionately in all the affairs related to their life and business. At a social and political level, the dealing with the leadership would produce more responsible citizens able to choose correctly their leaders and decide more wisely for the issues affect them. At a business level, leadership could provide competitive advantages and economies of scale, promoting a framework of contact, a new way of doing business and able creativity and innovation schemes to sparkle up the old economic structures and bootstrapping startups, new companies, and new economic models for doing business. At the bottom line, the focus on leadership approaches, can either function positively by promoting ideas and schemes would benefit the person, the society, and the business or negative by permitting to people to avoid selecting people, ideas, and organization that are not beneficial in the long run. These are the main ideas constitute the base for this book. My focus was to provide a leadership based framework of thought and action which would help anyone to promote his/her goals in a “proper” way (i.e. in a value-based way). The secondary objective for the compilation of the book was the exploration of the leadership myths, trying to separate the facts and the actions from the fictional elements, sometimes embedded in such theoretical concepts. For this reason, I have selected posts which focused on the real dimensions of leadership and provide the main strategies and techniques which would help you to use leadership principles in a way that will honor you and will provide the results you try to achieve. If you do not have the time to read the book “The Leadership Myth” online or you want it to read it in a different format you can get a free copy of the book, here! Question: How leadership can help you? You can leave your comments or your questions, by clicking here.